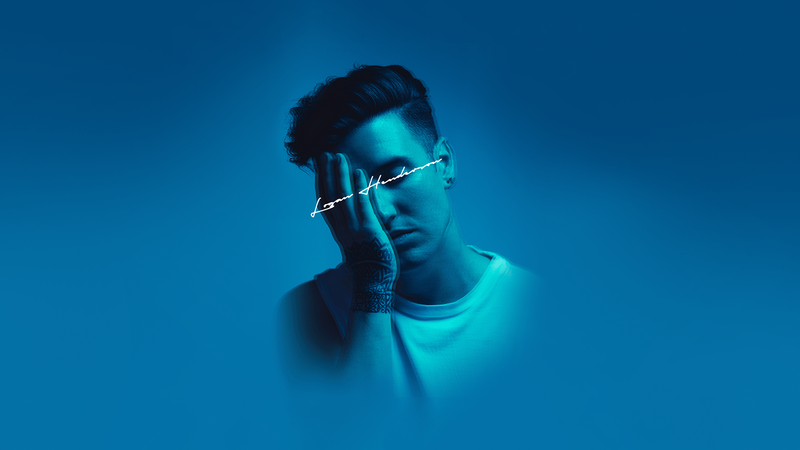 One spin through Logan Henderson's new EP, Echoes of Departure and the Endless Street of Dreams - Pt. 1, and it's obvious—this is a self-assured artist who has hit his stride. Stacked with addictive bass lines and hypnotic vocals, the album contains seven songs that range from strikingly honest ("Bite My Tongue") to summer-ready bops ("Speak of the Devil"). Catch us blaring this EP at any given house party in the coming months. Currently on his spring tour, the Big Time Rush alum has been performing his new music for fans across the US and Mexico. On the horizon are shows in cities like Nashville, San Diego, and Washington DC, and a final set in NYC on June 22. In-between stops, the singer-songwriter will be performing at 98.5 KRZ Summer Smash with Rita Ora and Dua Lipa, as well as Hot 107.9's Summer Blast Off alongside We The Kings and In Real Life. We caught up with the road warrior to find out what he's been jamming to while traveling from coast to coast. From Childish Gambino bangers to Kimbra classics, check out his current go-to's below, then make sure to Track him on Bandsintown to find out when he'll be hitting a stage near you. "It always puts me in a good mood." "It's one of the first songs I had ever heard from James Blake and found it wildly inventive." "I listen to a lot of old funk records, and I thought Gambino came out with something really fresh while still keeping that classic vibe." "Late night whisky drinking music...Sinatra is a legend." "I'm a huge Nirvana fan—this is one of the more interesting takes on a classic." "It makes me want to drive 120mph on the freeway." "One of my favorite songs from Schoolboy, and the music video for the song is wild." "I think her vocal ability is insane, and musically, it's just so out there. This song is really just a journey to see where the music takes you." "Smoke um if you got 'em." "Some of my favorite music Sia was making at the time. Perfect music for the beach."